This holiday is more than candy and the color green! Let’s make sure kids hear that Jesus saved Patrick and sent him back to share God’s love with his enemies! Read the story of Patrick and how his life glorified God. 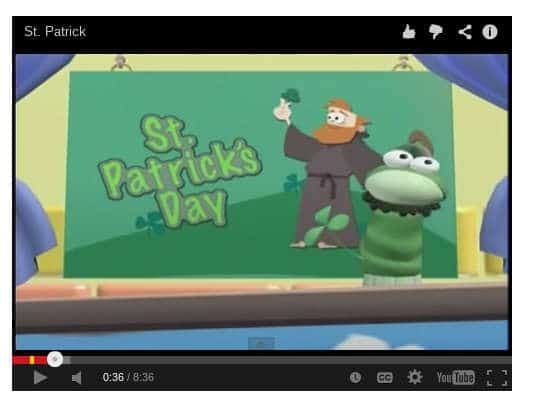 Check out the Veggie Tales story of St. Patrick video. Assign the following questions to the kids before watching the clip. When it is finished call on volunteers to share what they learned. What bad thing happened to the boy in the story? What did the people in Ireland believe about God? What did the boy do when he was lonely? What’s the deal with the shamrock? You will need to watch your time carefully if you watch the video clip, but you could teach the children a lesson about loving their enemies or sharing the Good News with others. Remind the kids that it was God’s grace that helped Patrick to respond in love, even people we call “saints” need Jesus to forgive their sins and empower them to love others. 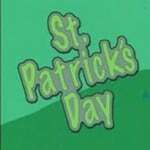 Try our children’s message for St. Patrick’s day to encourage kids to share their faith. We’ve created a St Patrick’s coloring page to use with the children near St. Patrick’s Day. 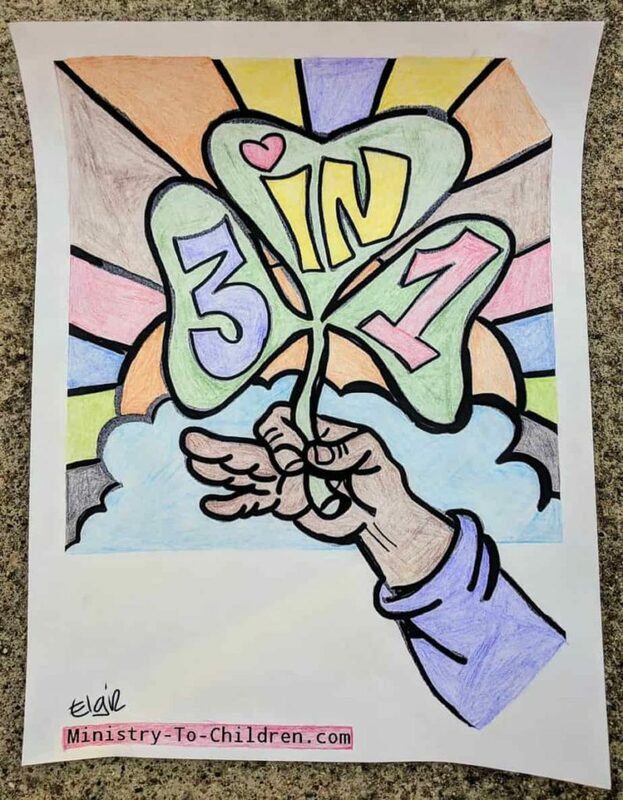 It shows a hand holding up a shamrock with the phrase, “3 in 1.” This would be a good opportunity to talk about the Trinity and how Patrick may have illustrated this Biblical truth. This could be as simple as sugar cookies with green sprinkles or to make it fun make them shamrock shaped. A glass of milk colored green would be a fun touch. Most supermarkets will also have plenty of St. Patrick’s themed snacks available. 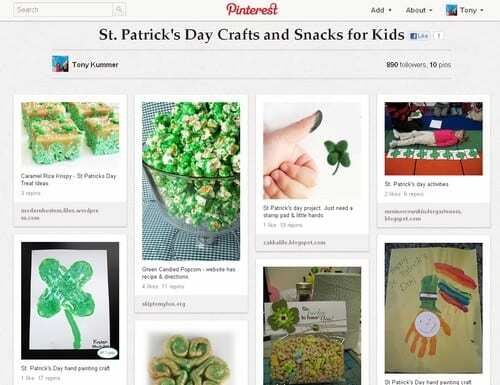 Check out the St. Patrick’s Day ideas I’ve been collecting on Pinterest. Click above to see more St. Patrick’s Day ideas. This is a variation of musical chairs. Have the children in circles of 5-15 kids. As you play the music then need to do their best Irish dance and move around in a circle. (Watch this video if you need inspiration. )When you stop the music they have to quickly sit down on the floor. After a few practice rounds, you can eliminate one child per round. A non-competitive alternative: just have the kids “freeze” in place and commend them on their funny poses. Connect this back to the Gospel by reminding the children that having the good news about Jesus is the kind of happy message that should make everyone dance. I found a few great art and craft ideas from Cullen’s Abc’s. Here is her video demonstration of the painted Shamrock craft. 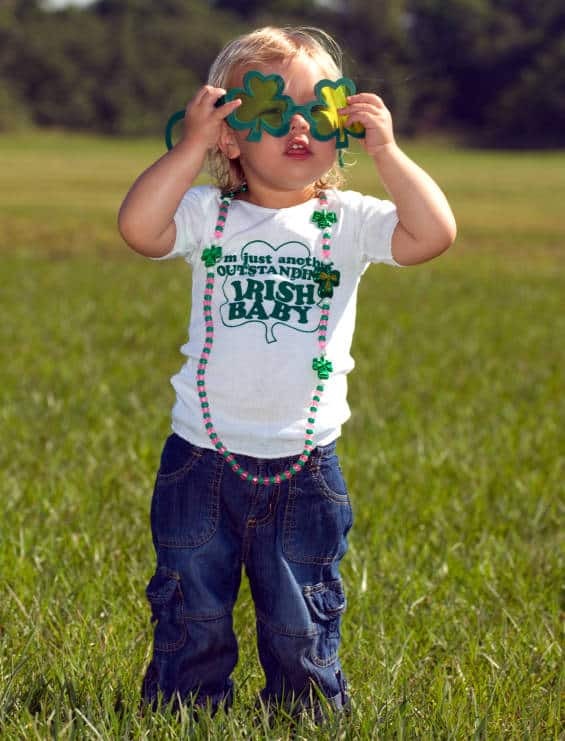 You might also like her idea for making St. Patrick’s Day play dough. I like your ideas! I am doing something God just started in the new church we are in. There is no real Sunday School set up for the kids yet, and the new families have several kids to a family so they are struggling just to get them there for preaching! I am making Portable Sunday School lessons with homemade cookies to go with lessons! We taught kids for 32 years in church and can’t do as much as we used to since my husband has had 13 strokes. My first attempt was puppy and kitty cookies and Valentine heart cookies, with heart and love verses Mainly John 1:10. Then I made David and Goliath and Lions and Bears with scripture and printouts to color. This week was Daylight savings with Stars and Moons, Earth and John 1:10 expanded. You know he made the universes with God the Father! This Sunday will be Rainbows and Revelation 21 about the Rainbow. It is a direct reflection off the gates of Heaven and the Stones set in the gates, Jesus is the Light that shines thu the colored stones and gives us the Rainbow! His promise is that WE won’t be destroyed and will see Heaven! Thanks so much for sharing. We love hearing those creative ideas! Tony Kummer (Editor) reviewed & updated this page on : March 18, 2019 at 8:28 am. All our content is peer reviewed by our readers, simply leave a comment on any post suggest an update.